Well, I know Chandratal Lake outshines most places in Spiti Valley and is among one of the most visited places in Spiti Valley. Apart from Chandratal, most travelers fairly limit themselves to places like Kaza, Tabo, Ki, Kibber, and Dhangkar in Spiti Valley. However, Spiti Valley offers many other hidden gems of the places such as Sopona Lake, Langza, Hikkim, Komic, etc.. as well. 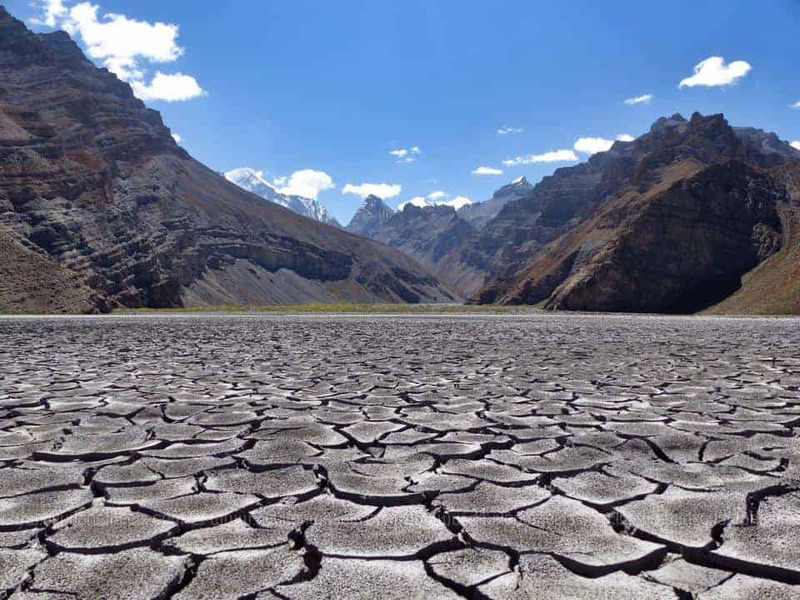 In this article today, I will talk about one such offbeat places in Spiti Valley called Sopona Lake and try to outline a detailed travel guide for it. Sopona lake itself can sometimes be disappointing especially when it is dried during the start of winters or early summers when snow is not melted enough. 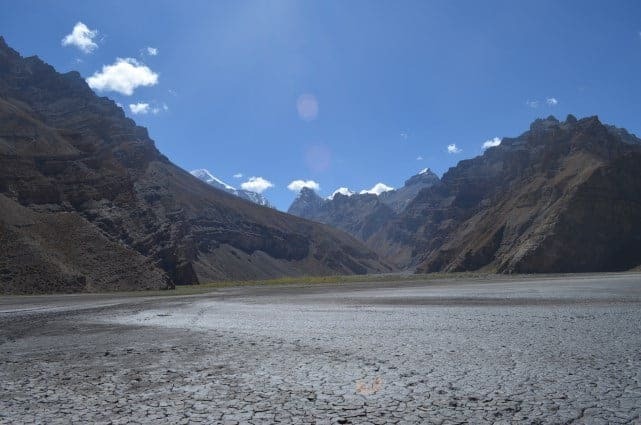 However, the trek to Sopona lake offers some jaw-dropping views of the Spiti valley and the high handsome Manirang range. The Manirang Himalayan range comes among the highest mountains ranges in the Himachal Pradesh, lying on the border between Kinnaur and Lahaul – Spiti districts. 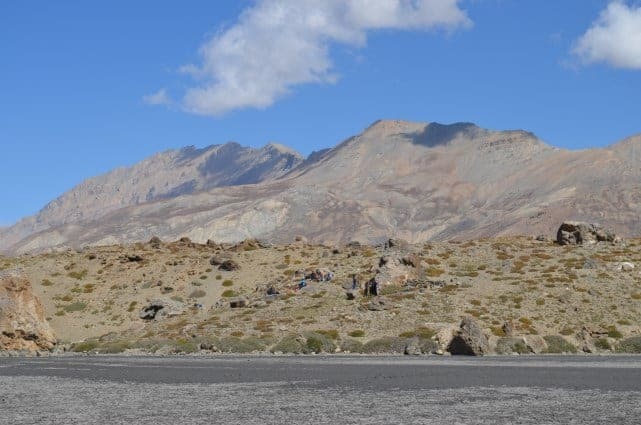 Manirang pass, at a staggering altitude of 21,631 feet or 6,593 Mtrs, was one of the early trade routes between Spiti and Kinnaur, before the motorable road was built. Sopona lake is located at an altitude of 13500 feet (4122 Mtrs) above the remote twin villages of Mane viz. Manegogma (lower village) and Maneyogma (upper village). When you travel from Tabo towards Dhankar, you get to a small Schichiling bridge before Dhangkar village diversion point from where you have to take left across the Spiti river. You keep driving for about 5-6 km to reach Manegogma village first and then a drive of a couple of km ahead, you finally reach Maneyogma. It will take about 2.5 – 3 hrs (approx 6 km) of trekking from Maneyogma to reach Sopona lake on a decent pace. The whole trek to Sopona lake will take you about 6-7 Hrs up, down and spending some time up at the lake. 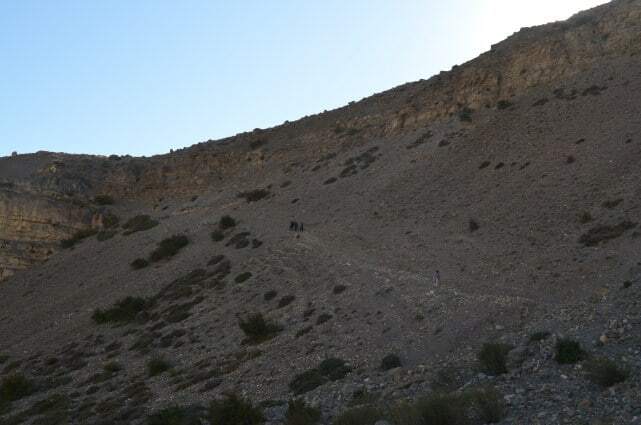 The most part of the trek is a bit difficult for novices and moderate for regular trekkers due to its steep gradient. It is a seasonal lake formed by the glacial melts and is mainly fed from the snow of Manirang range. 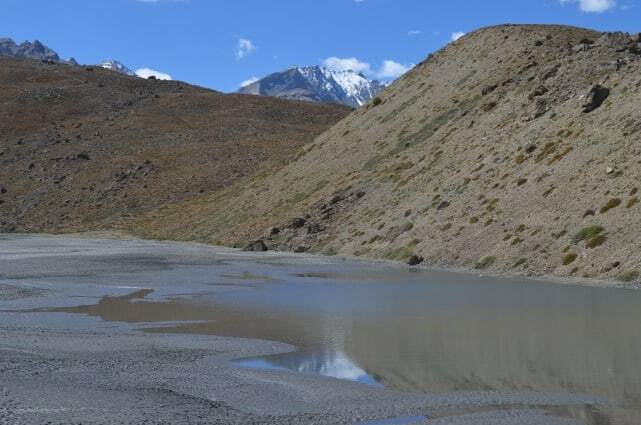 Hence, the best time to visit Sopona lake is summers when roads to Spiti Valley are also open. In the early summers and early winters, the lake is barren because the glacial snow melts either does not start or dries up by the start of winters. However, the journey to this high altitude lake is always as beautiful in any season as you can imagine it to be. You can read a travel tale in DoW Community Sopona Trek – A beautiful Disappointment. 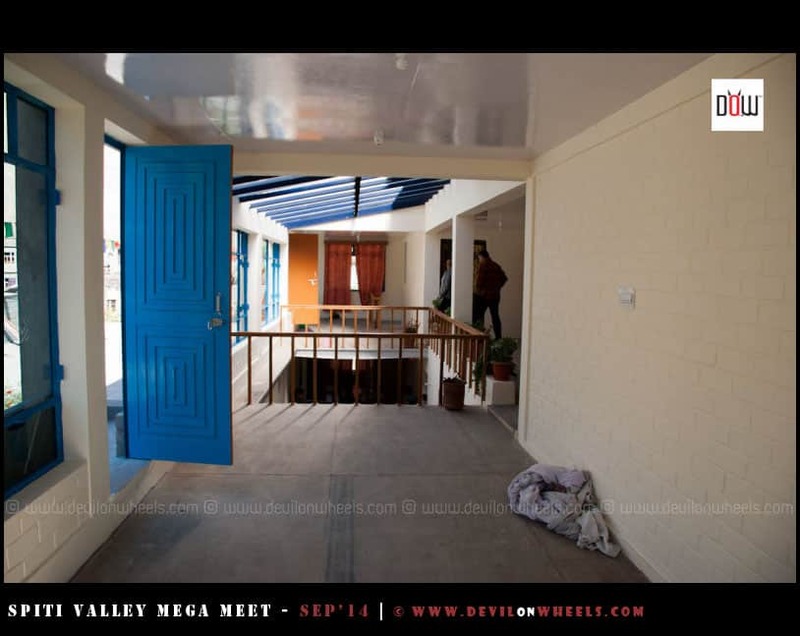 All the pictures in this article are credited to Preet Kamal, our core devil, who was with us on DoW Mega Meet 2014. A sincere thanks to him. 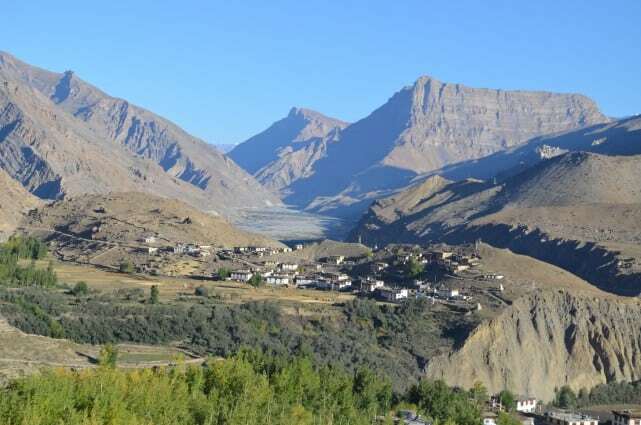 You can refer the most common itineraries for Spiti Valley from Kinnaur or Manali in the Spiti Valley section of the website for an end to end plans. 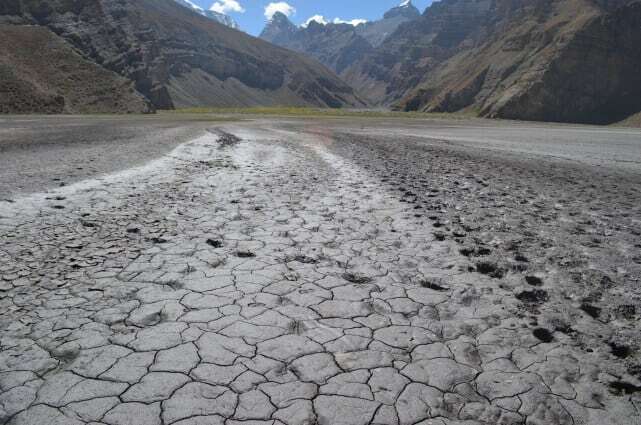 For the brevity of this article, I will only limit myself to suggest how you can fit Sopona lake into your Spiti Valley trip plan that makes the most sense and also helps you not get hit by acute mountain sickness. After Sumdo police registration, the detour towards Geyu Village to visit the 500 Year old Mummy. 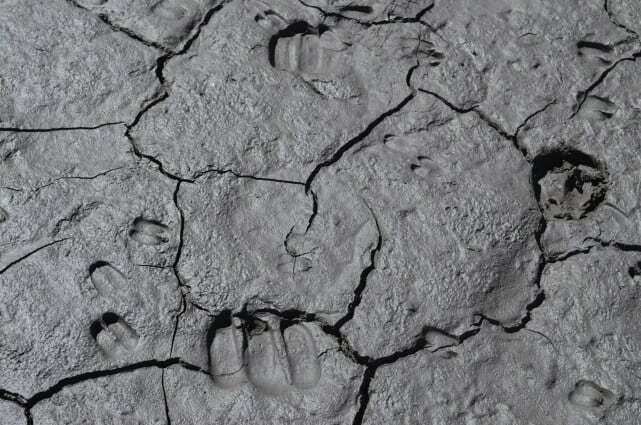 After visiting it, keep moving towards Tabo. Considering the fact that both of the Mane villages are more or less tiny hamlets of Spiti Valley, there are no hotels or guest houses available as such in these villages. We stayed at Sonam homestay at Mane village. 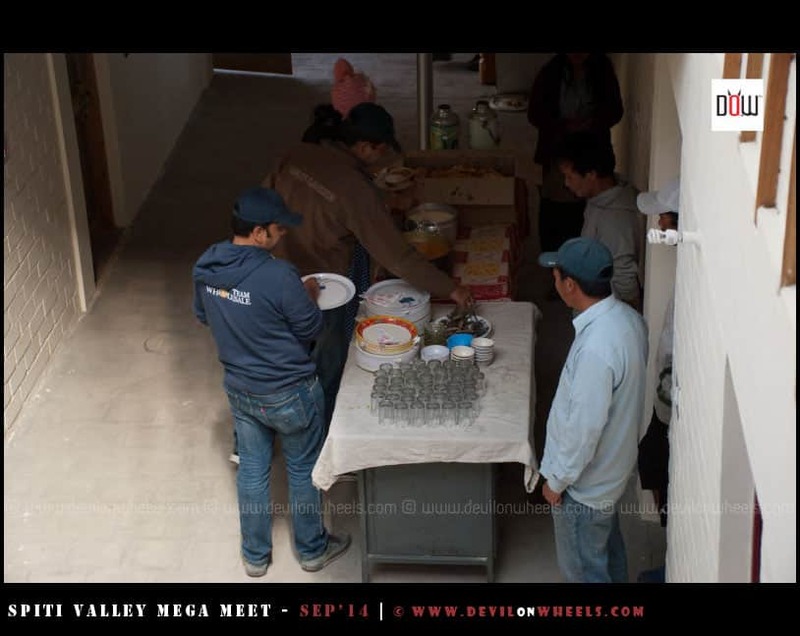 It is fairly newly built and has 5-6 rooms, a couple of dry pit local toilets, a big dining hall where food is served. You will feel all the comfort. There is a big camping ground outside it where you can pitch your own tents. It is the last home in the Maneyogma village and from here only the trek to Sopona lake starts. You can reach Sonam Ji at +91-9418503966 or +91-9459481431. Your phone may be picked up by Lobsang Ji, you can refer about Sonam Ji from Mane village, he will recognize and take care of your bookings. There are other homestays available as well in the Maneyogma village where you can stay or feel free to put up your camps. Unfortunately, I do not have contacts of any other homestays. You can also get in touch with Tsering Bhai ([email protected] or +91-9418208987) in case you need a few things pre-booked or pre-arranged/organised. Sonam Ji is in the family of in-laws of Tsering Bhai, so he should be able to help you in any possible way. Food availability is fairly limited to the local homestays and your packed food. Hence, you must rely on either the food you are carrying OR eat at the local homestay where you will be staying in the village. Do take a local villager or guide with you on the trek to Sopona lake from Maneyogma. He can help you in many ways and morale boost is on such an important aspect of trekking in the high Himalayas. Kaza is the nearest place where petrol pump is available, so do not forget to top up in Kaza. 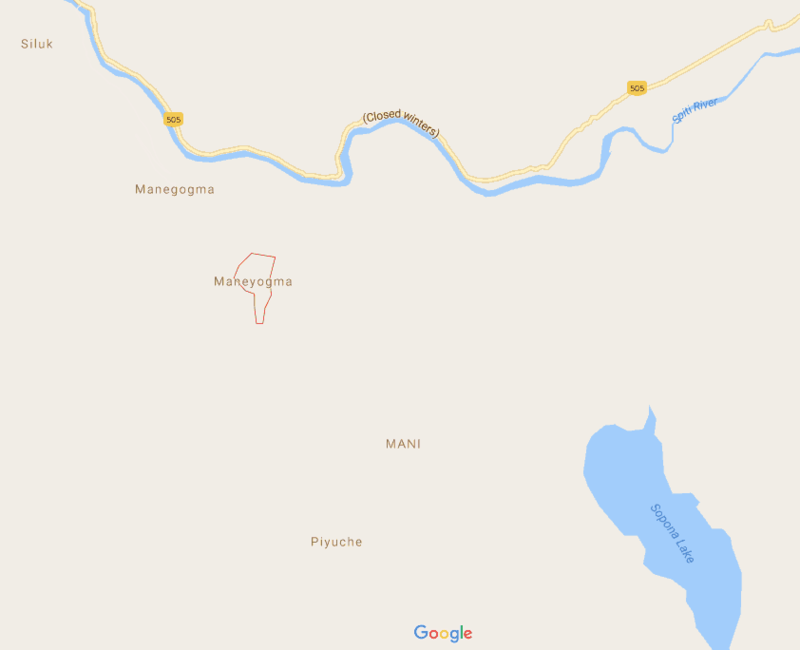 No mobile signals work in the Mane villages or on the trek to Sopona lake. 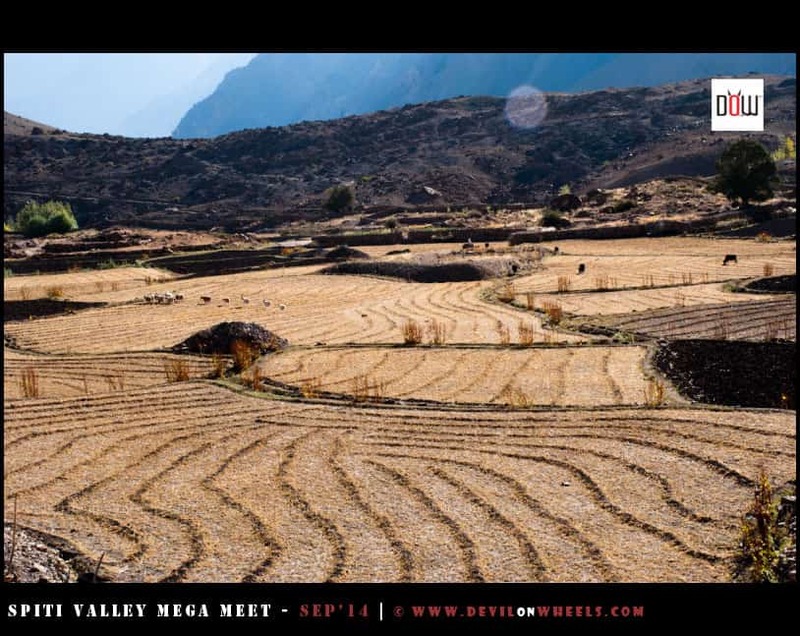 You are mostly disconnected from the outer world 🙂 🙂 … The article 11 Tips on Mobile Phone Connectivity in Spiti Valley will help you with your entire trip of Spiti on mobile connectivity coverage. ATM is available in Kaza only, so don’t forget to carry enough cash for the homestay payments or guide payments in Mane villages. 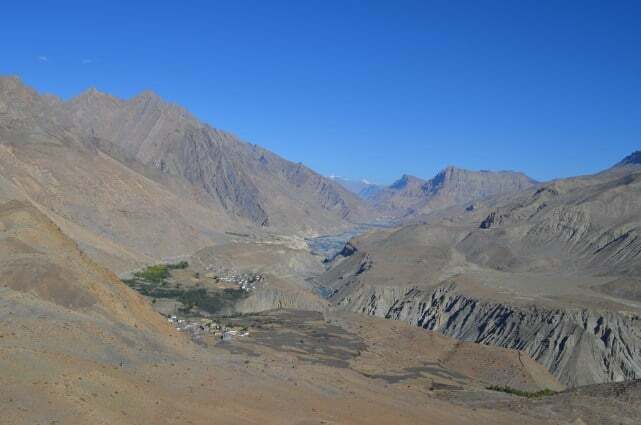 Nearest to Mane, a major hospital is located at Kaza, about an hrs drive from Mane villages. 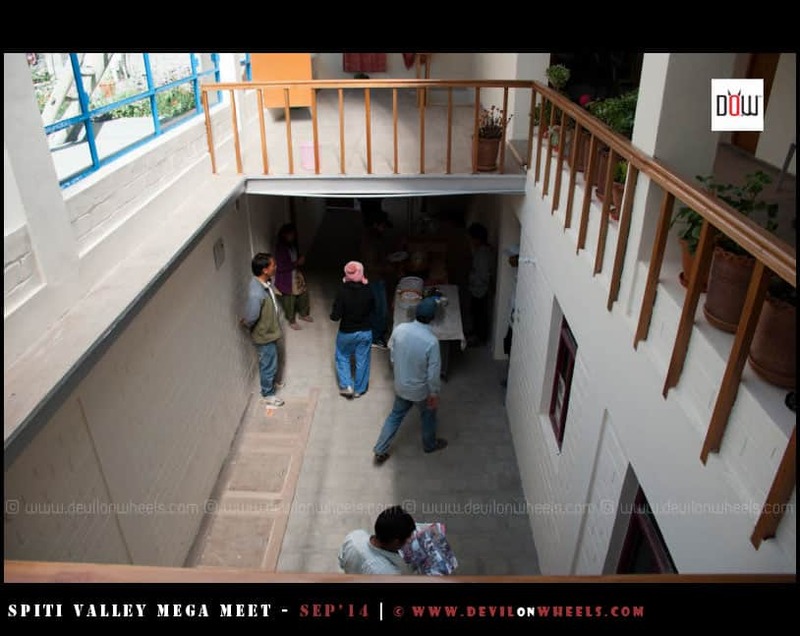 The village has a small local dispensary for basic medical needs. 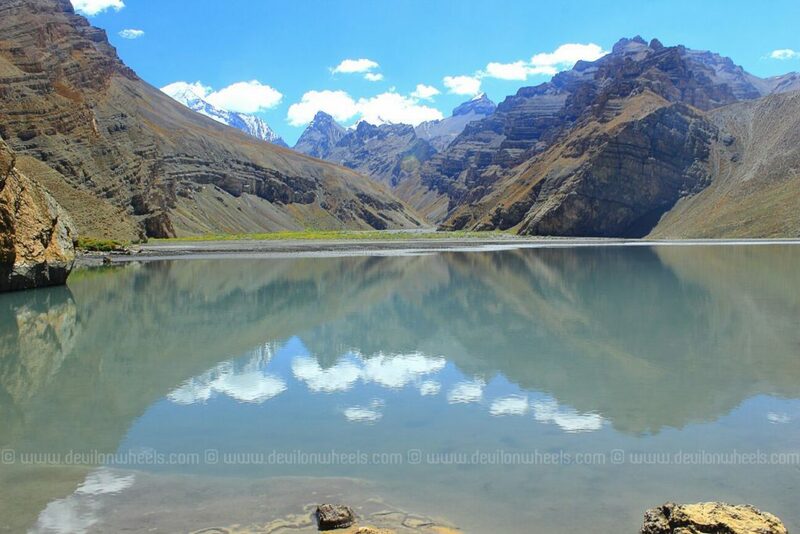 Sopona Lake and Mane villages are quite unexplored and offbeat destinations in Spiti Valley, Himachal Pradesh. These places have a lot of potentials to entice travelers around the world due to it’s desolate, lost in nature and picturesque location. But again, such places are better off without any commercialization or tourist activities that most certainly spoil the beauty of such unusually tranquil places. So, whenever you travel to such places in the Himalayas, we request you to travel responsibly. You can also read our tips in DoW Community about Responsible Travel in the Himalayas. In the end, feel free to post any queries here in the comments section or in Itinerary Advice Forum – Lahaul, Spiti & Kinnaur Valley of DoW Community. If you have been to Sopona lake and would love to share inputs to help other fellow travelers, please leave a comment and I will make sure to merge your inputs into the article. Can I plan a motorbike trip on 20.09.2017 to spiti valley from shimla side including langza, hikkim, komic, chandrapal etc. and return through kunjum pass to manali side. An early response will be highly appreciated. Thanks in advance. 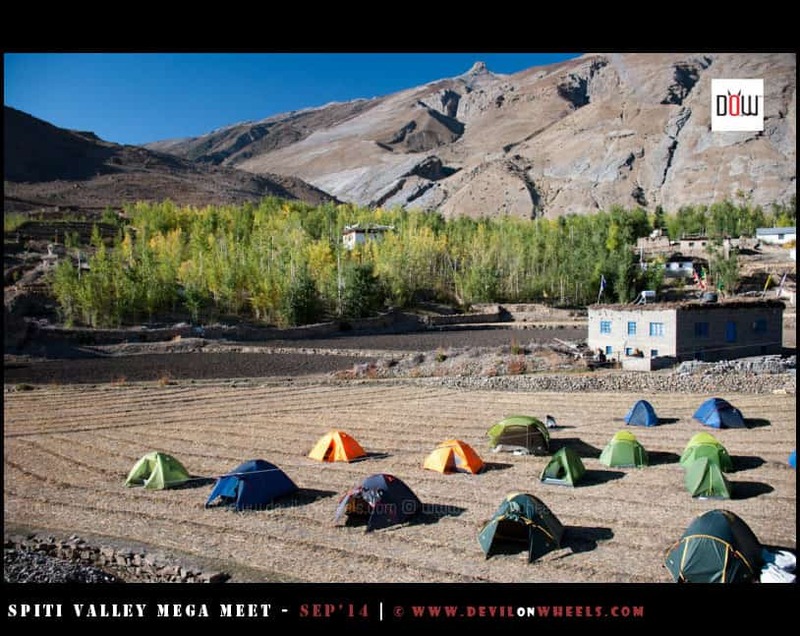 YEs, you can plan the trip in September easily in Spiti valley. The roads will be in good conditions. 1. Is going to kaza from Manali is a good idea during 22-27th June. ? if so what are the public transport and timing of it , as Himachal transportation is not showing any online. 2. Who all to conatct for the camping permission at chandrataal. 3. Apart from kaza, tabo and Nako do you suggest any place worth visiting ? 1. The road from Kaza to Manali will be open by that time of the year and HRTC buses from Kullu – Manali – Kaza will be operational else shared taxis from Manali taxi stand will also be running during that time. There are two HRTC buses which runs between Manali and Kaza every morning, as soon as road to Spiti Valley via Manali get open in the season, mostly in June. These buses run from Kullu to Kaza via Manali and it reaches Manali around 4.45 AM and leaves at 5.00 AM. 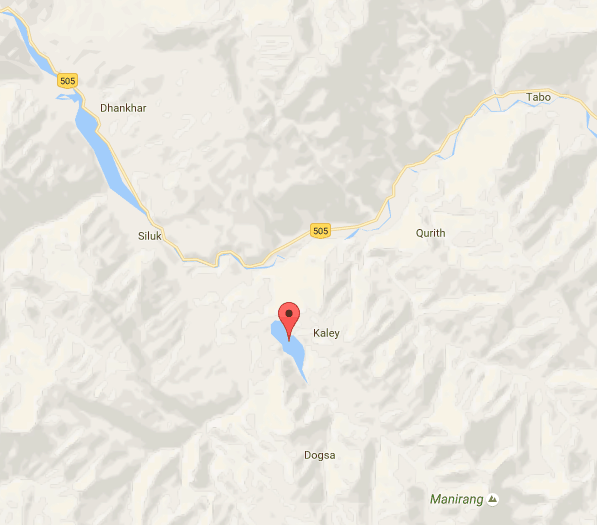 Ticket to Kaza will cost you only about INR 250. 2. 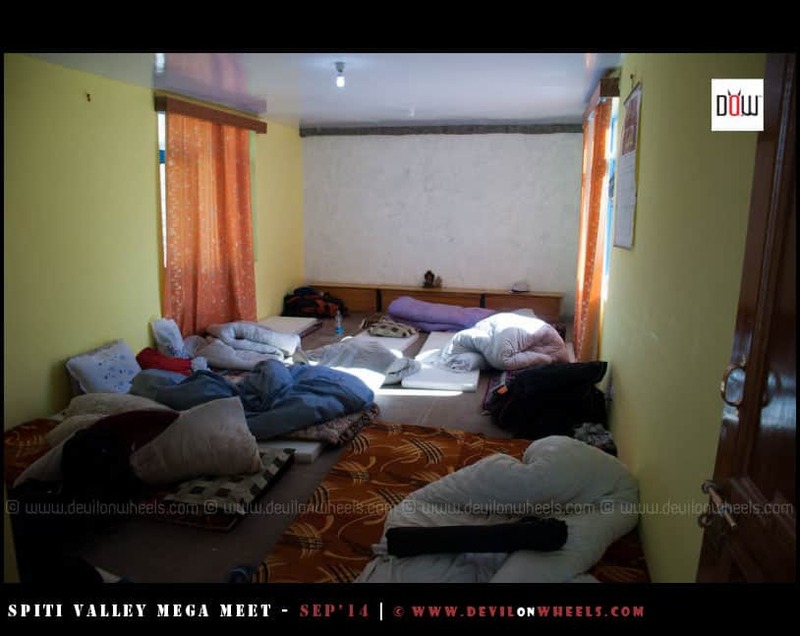 You cannot camp at Chandratal, it is against the laws and disrespect to the environment. Please camp at the camping sites dedicated near parking lot for camps to save it for future. best wishes for your trip. Feel free to post any further questions you may have for your trip. I have been to this lake. It is really beautiful. Mane does not have home stays like other villages in Spiti. In lower Mane, a woman named Lobzang and her husband are open to tourists staying with them. Else, it might be difficult to find accommodation. Chinar, now few things have changed. You can stay at Sonam guest house/home stay as well in upper mane village. It is the last house almost. Thank you, glad it is useful for you. Sure Aryan, it is blissful place and the trek offers some breathtaking views. Glad to know about this lake.